Like butterflies, flowers are beautiful but ephemeral in nature and therefore perfect embodiments in microcosm of the transient, cyclical nature of life – from birth to death to rebirth. 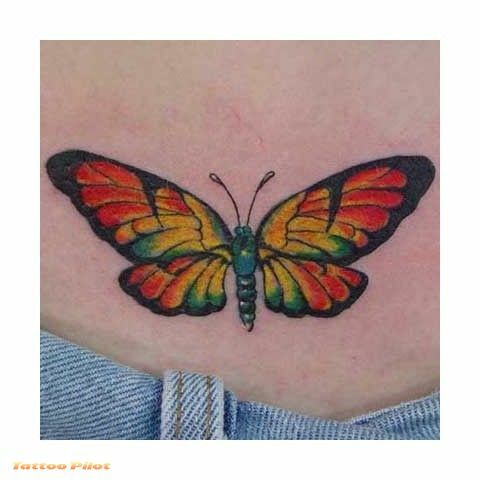 This is probably why the most elegant butterfly tattoos are usually depicted in a floral setting to represent their natural habitat. The combination of butterflies and flowers makes these designs even richer in symbolism. 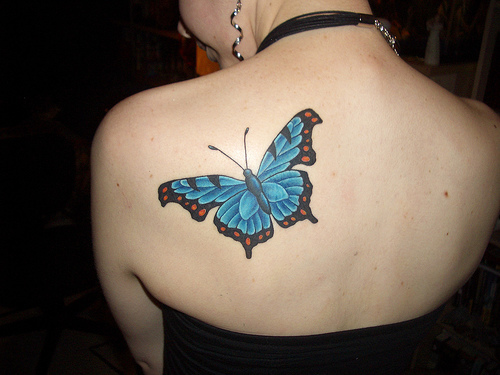 Butterflies are full of symbolic meaning which varies according to the cultural context. To the ancient Greeks, where the word for butterfly was ‘psyche’, meaning soul, butterflies were thought to represent a new soul being reborn. In China they were a symbol of love and fidelity whilst to the Native Americans, they represented the fulfilment of wishes. 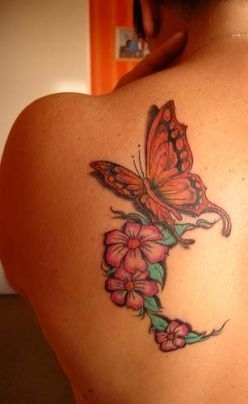 Multi-culturally, butterflies are symbols of transformation, femininity, elegance and beauty. Flowers are equally rich in symbolism the entire world over. The lotus flower is to the East what the rose is to the west, a symbol of love and beauty, sometimes tinged with other meanings. In Greek mythology, those who ate of the lotus forgot all life’s worries and lived in peaceful forgetfulness and pleasure. Violets were symbols of fidelity, chastity and modesty, although in ancient Rome, because of their deep, purple colouring, violets were used as mourning flowers, the way anemones and poppies are now. The pansy was also called “heartsease” because it could cure lovesickness. Girls carried pansies to ensure their sweetheart’s love remained constant. Daisies denote innocence, but can be a warning of fickleness, whilst bluebells suggest faithfulness, but bring bad luck to those who pick them, like snowdrops, which symbolise hope and resurrection, but should never be brought into the house. Tulips relate to love and passions; sunflowers signify adoration, whilst if you give your love Michaelmas daisies, it is a sign you are saying farewell. Many flowers take on different meanings for their colours. For example white lilies denote purity and majesty, whilst red lilies symbolise spiritual aspiration. 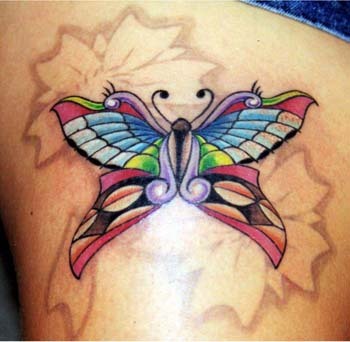 It is easy to see how, with a little imagination, you can weave entire stories around your tattoos when you put butterflies and flowers together in a design. Place your butterfly with a dandelion, (which symbolises coquetry), and you could be suggesting you are ready for a good time; have it settling on a pretty sprig of cherry blossom and their combined message is undeniably about elegance and feminine beauty but also indicates the wearer is intelligent and has strong principles. 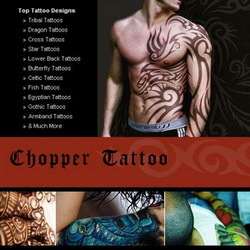 When choosing the flowers to go with your elegant butterfly tattoos, it is advisable to do your research well, as others may read more into your tattoos than you intended!